With a very heavy heart, I share news of the death of Dr. Frank E. Marsh, Professor Emeritus of Northeastern University, and a truly outstanding and dedicated leader of Kappa Delta Pi International for nearly 7 decades. Inducted into KDP’s Beta Beta Chapter at The University of New Hampshire in 1949, his service goes back far enough that he had opportunities to meet the founders of KDP and often shared interesting stories about KDP in the early years. It is fitting at his passing to acknowledge his many significant contributions to the Society. There is no one who matched his sustained effort in leadership excellence. He captured the spirit of KDP in all the work he accomplished in his professional life as a teacher, coach, university professor, and Dean. He personified the ideals of the Society. When we reflect on his legacy, there are many significant firsts associated with his term as President of the Society (1972–1974), many of which are still in place today, such as offering regional one-day conferences for members, training of new Chapter Counselors at Headquarters, holding student forums at Convocation, and establishing the Educational Foundation, where he served as Board Chair for 18 years. During his tenure as leader, the Foundation raised millions of dollars, resulting in increased scholarships, awards to teachers, national conference sponsorships, and the completion of a fundraising campaign to purchase a new headquarters’ facility in Indianapolis. In addition to his service as the Chair of the Educational Foundation, his leadership benefited the Society through his service as the Academic Editor of the Kappa Delta Pi Record from 1996 through 2001, on multiple Convocation Planning Committees, on the President’s Advisory Committee, and as the founding counselor of the Kappa Zeta Chapter at Northeastern University. A constant in all of his leadership roles was his ability to provide the vision and initiatives for improvements in these organizations. He always provided steadfast support of the Society, the staff, and all educators in its community. His consistently positive and gracious disposition set him apart and served to make him a special mentor, coach, and beloved leader. 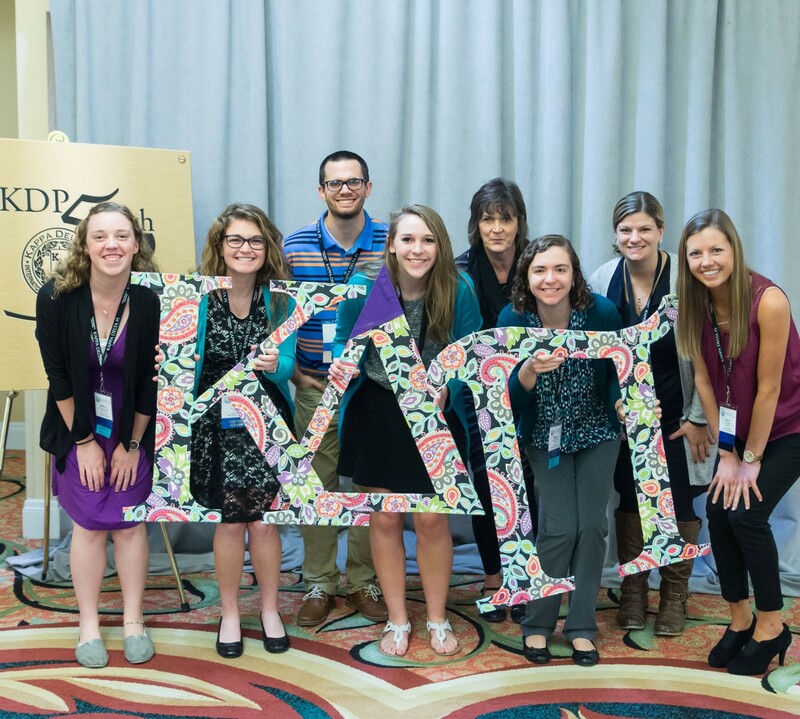 Honoring his significant and longtime contribution of service to Kappa Delta Pi, he was inducted in 2015 as a member of the prestigious Eleanor Roosevelt Chapter—one of the highest recognitions bestowed by the Society. In addition to Frank’s sustained service and leadership in KDP, what impressed me most is that every conversation I ever had with Frank, he was always positive and hopeful of the great things that lie ahead. He definitely had a “glass half full” disposition . . . a most gracious and kind man. May he rest in peace.